(AFP) - A powerful and shallow earthquake struck Wednesday off Indonesia's Sumatra island, sending panicked residents rushing from their homes in a region hit hard by quakes and tsunamis in the past. The epicentre was several hundred kilometres from the Mentawai Islands, a small island chain southwest of the country's main western island of Sumatra. The closest major city on Sumatra to Wednesday's was Padang. An AFP journalist there said people ran from their homes and fled to higher ground by motorbike, car or on foot. 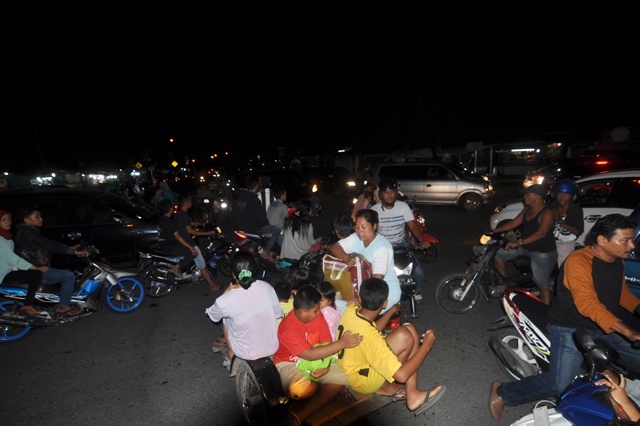 Disaster agency spokesman Sutopo Purwo Nugroho said tsunami warning sirens were activated and "people responded to the early warning by evacuating to higher places". "Based on analysis, the potential for a tsunami is low." The USGS also said there was a "low likelihood of casualties and damage". "There are likely to be no affected structures in this region," it added on its website. People in Christmas Island were advised to get out of the water and move away from the immediate water's edge.